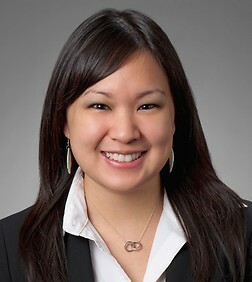 Ms. Suwatanapongched is an associate in the Business Trial Practice Group in the firm's Los Angeles office. Ms. Suwatanapongched is known and valued as a collaborative, approachable, attentive and detail-oriented litigator. Her clients rely on her clear communication, organization, and management skills to execute their litigation strategies. Ms. Suwatanapongched handles all stages of litigation, from case filing to dispositive motions to mediation, arbitration, trial, and judgment enforcement. Ms. Suwatanapongched leads teams of associates and legal staff in handling complex discovery and e-discovery and is a member of the firm’s E-Discovery Team. Ms. Suwatanapongched is an active member of the Asian/Pacific Islander American (“APIA”) community and enjoys utilizing her skills to help the APIA community at large. In November 2012, Ms. Suwatanapongched helped found and launch the Thai American Bar Association (“TABA”) and served as its Founding President. TABA is the first organization to support Thai and Thai-American legal professionals in the United States. She currently serves on TABA’s Advisory Board. Ms. Suwatanapongched also assisted in the formation of the Thai American Samakkee Coalition (“Samakkee”), a national organization that promotes the unity and interests of Thais and Thai Americans in the United States. Ms. Suwatanapongched currently serves on the Advisory Board of the Asian Pacific American Bar Association of Los Angeles (“APABA”), where she has served on the Board of Governors since 2007 and was its President in 2015. As former APABA Scholarship Fund Chair for more than 10 years, she coordinated the Law School Fellowship Committee, which awards an annual $5,000 scholarship to a law student who spends a summer working at a Los Angeles County nonprofit organization in a unit that serves the APIA community. In addition to her external leadership roles, Ms. Suwatanapongched is an active member of Sheppard Mullin’s diversity group, the Diversity and Inclusion Attorney Network (“DIAN”), serves as DIAN’s Office Leader for Los Angeles, and is a representative on Sheppard Mullin’s Associates Forum. Represented real estate development company in litigation involving fraudulent transfer and conspiracy. Second-chaired and obtained unanimous defense verdict after several days of jury trial. Represented aerospace client in arbitration related to breach of contract dispute. Resolved by favorable settlement. Represented online services company in dispute related to outages at customer’s site. Resolved by favorable settlement. Represented real estate companies and subsidiaries in commercial unlawful detainer cases. Resolved by obtaining judgments for possession and evictions, favorable settlements and lease amendments. Represented international frozen food manufacturer in breach of contract dispute in arbitration. Obtained arbitration award in client’s favor. Represented financial institution in foreclosure and lender liability action with guarantors of defaulted loan. Prevailed on summary judgment. Represented medical device manufacturer in dispute with financial institution involving unauthorized diversion of client’s credit card payments to a third party. Resolved in client’s favor. Integral member of team of attorneys across several law firms in representation of insurer related to complicated excess insurance claims. Resolved by favorable settlements. Represented beverage manufacturer in class action involving unfair competition and false advertising related to product labeling. Prevailed on motion to dismiss. Represented hospital in class action involving emergency room charges. Prevailed on summary judgment. Represented lender in class action alleging class members' privacy rights were violated. Prevailed in arbitration, and judgment in favor of client affirmed on appeal. Represented canned food manufacturer in class action involving unfair competition and false advertising related to product labeling. Resolved by favorable settlement. Represented retail chain in class action related to collection of customers’ data. Resolved by favorable settlement.